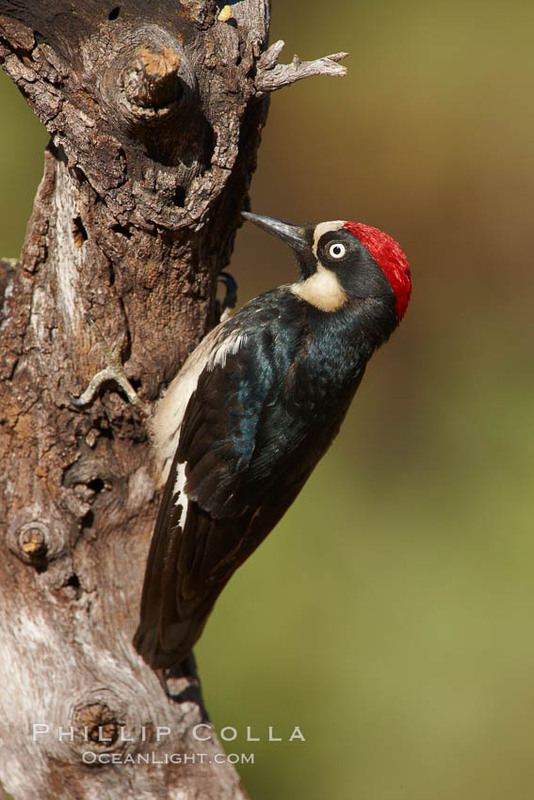 Another photo from Upper Madera Canyon, this time a photo of a male Acorn woodpecker (Melanerpes formicivorus). The females look very similar, with the exception that on females the white forehead is separated from the red cap by black. Shot at Bill Forbes’ Upper Madera Canyon “drip”, which I visited and described recently.